Give the gift of Shade. Gift cards are valid for hotel stays and amenities. Please provide the following information to purchase your gift card online. Gift cards will be mailed out within two business days of purchase. Items marked with a red asterisk are required input. Gift card will be mailed out via USPS within two business days upon receipt of payment. A receipt will be sent to the email address provided above. Gift cards can be redeemed at any time and do not expire. 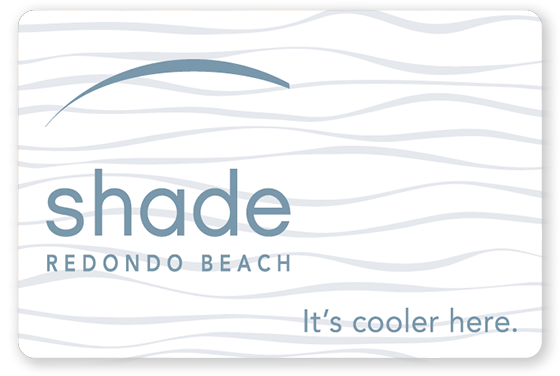 This card can only be used at the Shade Redondo Beach location. If you have any questions regarding gift card purchases, please call the hotel directly at (310) 921-8940.